Here is a look at a new pin release at Aulani, A Disney Resort & Spa! 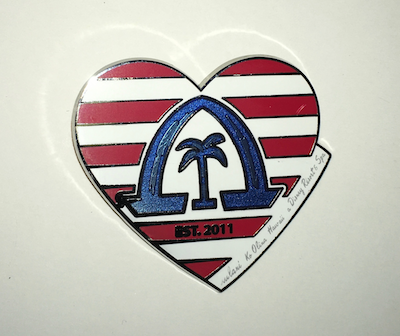 This pin is American themed with red, white and blue colors. It was released in early July 2017 at Aulani Resort. The retail price is $11.99. Check out more pins from Hawaii in the Aulani pin category section.